When viewing the serene and tranquil artwork of David Najar, or observing his modesty during a conversation, it’s hard to imagine the artist once taught a martial art used by soldiers. Believe it or not, though, Najar worked as an instructor of Krav Maga, the self-defense combat system developed for the Israeli military, before becoming a professional artist. 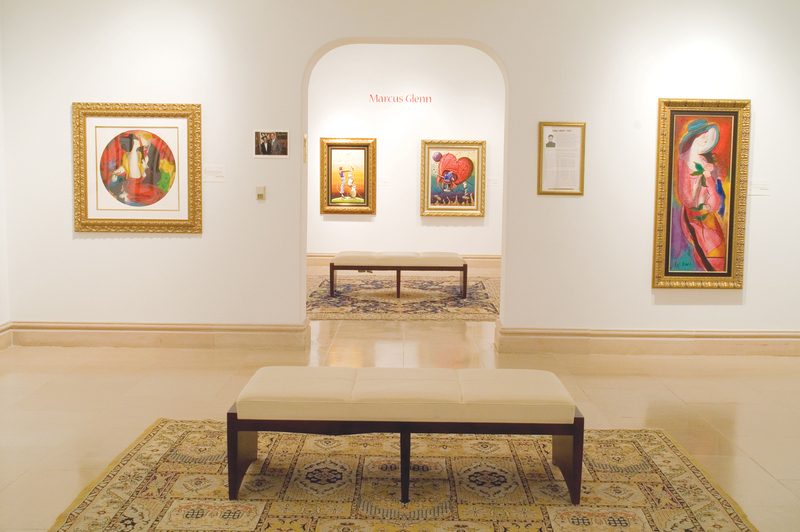 Growing up, Najar’s family put little to no emphasis on art. Although his teachers recognized his artistic skills, Najar felt the pressure of art not belonging in a “man’s world,” and put aside painting to join his classmates playing sports. Sports soon took over his life, and when he grew older, he started working out at a center for Krav Maga. The center just happened to be opened by Imi Lichtenfeld, also known as Imi Sde-Or, the creator of Krav Maga. A successful boxer and wrestler, Sde-Or developed Krav Maga to help defend Jewish neighborhoods in the mid-1930s during anti-Semitic riots. The martial art applies judo, aikido, street-fighting, boxing and other techniques to aggressively counter and take down an opponent. 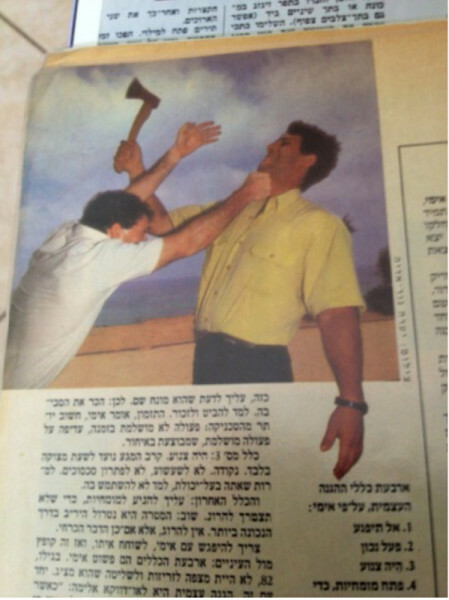 In 1948, Sde-Or was appointed as chief instructor for physical fitness and Krav Maga for the Israel Defense Forces, teaching for about 20 years. After his retirement, he refined the style to be taught to police and civilians at two Krav Maga schools – one in Tel Aviv another in Najar’s town of Netanya. Najar met Sde-Or, and the two developed a bond despite an age difference of 50 years. Najar endured intense training to become a coach and a leading figure in Krav Maga, teaching members of the Army, security forces, teenagers and social workers alike for 20 years. When not training, Sde-Or and Najar talked about life while sitting in a café. Najar recalls a rather prophetic conversation that may have hinted at his future career in art. “He told me all the time that I would be surprised by what you’ll find inside you,” he says. “I just felt at home,” he says. He signed up for a painting course and dove right in. Seeing the muscular Najar in the classroom learning to paint must have been quite a sight for his fellow students, but he was relentless, teaching Krav Maga by day and painting at night. Najar decided in his late 30s that he would paint for a living, as it gave him a form of expression the martial arts did not. His passion re-ignited, he painted day and night. 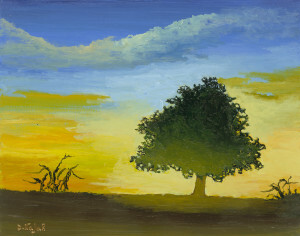 Fate once again intervened, as someone he trained at the gym was also a painter. Najar critiqued his moves, and in turn, the artist critiqued his paintings. 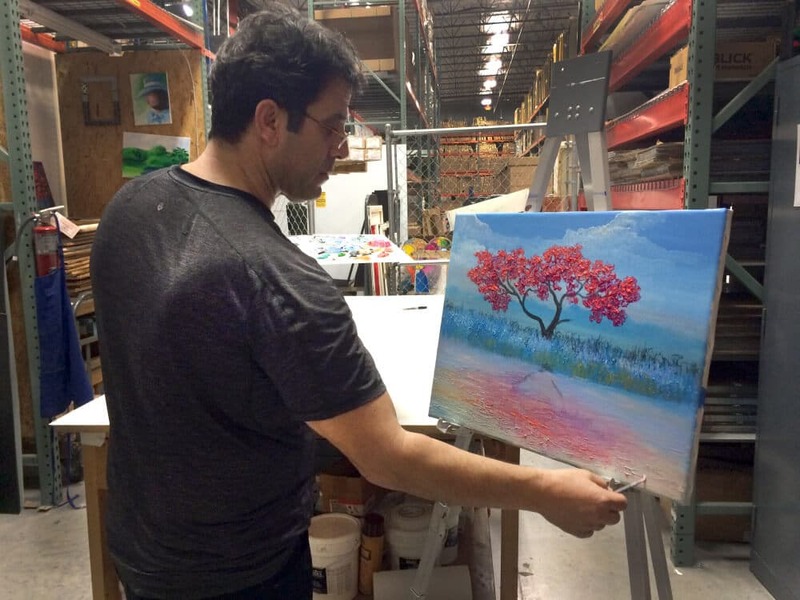 Much like studying under the master of Krav Maga, Najar entered the tutelage of great artists. Itzchak Tarkay and Najar met in 2003, and a year later, Tarkay invited Najar to move his studio next to his own. They worked together until Tarkay passed away in 2012. “It was a very powerful and strong part of my life,” Najar says of his time with Tarkay. Today, Najar has come full circle, working as a professional artist that draws inspiration from nature. He paints for hours at a time in his studio in Tel Aviv, loving every minute of it. Founded in 1969 by Albert Scaglione, Park West Gallery has brought fine artworks to more than 1.8 million clients around the world through its gallery locations in Detroit, Michigan and Florida as well as cruise ship art auctions and in major metropolitan areas. Park West Gallery’s mission is to create an educational, entertaining, and welcoming environment that ignites a passion for the arts and creates a collecting experience like no other company in the world.